Learn the rules of the English language with this easy and engaging style guide. Grammar is complicated. But many textbooks and style guides are often so long and tedious that even English teachers use them as a classroom doorstop. 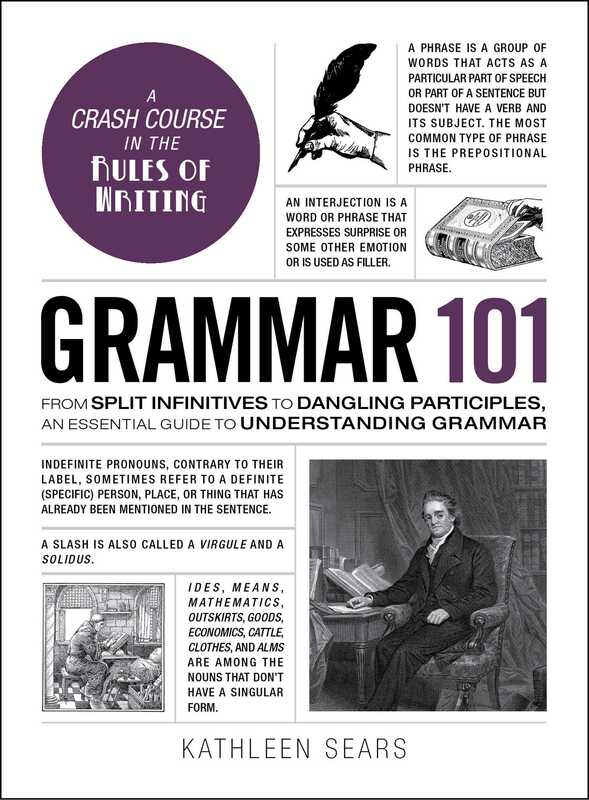 Grammar 101 is a fun, comprehensive guide focusing on the essentials of grammar. With simple explanations and entertaining examples, you can learn everything you need to know to employ commas, semicolons, and em dashes with confidence. You’ll even be prepared to wrangle your run-on sentences and sharpen your syntax with ease. So whether you’re looking for an introduction to the rules of grammar or a refresher to keep on your desk, Grammar 101 has all the answers. "We still need grammatical standards, of course, and Kathleen Sears serves them up fresh in Grammar 101. Clear and concise, this convenient guide offers everything from spelling mnemonics, faulty comparison, and sentence fragments. This hardbound book is the size of a small paperback, making it a handy and durable rock of reference for any writer's desk."